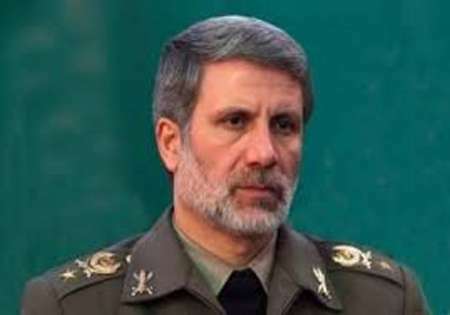 IRNA – Iranian defense minister urged the western powers to understand the realities on the ground and the changes in West Asia region. Speaking in the 2nd Tehran Security Conference 2018, Brigadier General Amir Hatami said that ‘Western powers that play a role in the region do not understand the new realities and changes in the region’. He referred to the US interference in the region and said that Washington is responsible for the region’s major problems. The official said that establishment of security in the region is only possible through regional countries’ active participation. Iran’s missile capabilities are not a threat to its neighbors and Tehran would continue efforts to establish security in the region and the world, he added. Hatami referred to Iran’s cooperation with the world states on (implementation) of Joint Comprehensive Plan of Action (JCPOA) reached between Iran and G5+1 in 2015, and said that ‘Iran showed good will to the world’. The 2nd Tehran Security Conference 2018: Regional Security in West Asia, Emerging challenges and Trends started in Iran capital city on Monday with a speech delivered by Iranian Foreign Minister Mohammad Javad Zarif.